Moving to New York? Find out more information about My Baggage – our convenient, affordable and reliable door to door shipping service that could help you to save time and money on transporting your worldly possessions to NYC. It’s really no surprise that New York City is the most populous city in America. With so much to see and do, The Big Apple offers something for everyone; and it’s not just solely for the tourist. If you believe you can keep up with the rhythm that is NYC, then you should move immediately, as you’ll soon discover that there’s no place quite like it in the world. There’s no denying that one of the most daunting aspects of relocating is finding an efficient and affordable way to transport all of your worldly possessions to your new home. Thankfully, there are a number of options out there to choose from, which help to make your relocation process run as smoothly as possible. It’s important to make yourself aware of the numerous options that are available to you. Traditional international removal services aid your relocation process by offering the transportation of your belongings from one country to another, often by air or by sea freight. A traditional international removals company is the perfect option if you’re needing to ship large, bulky items including beds, sofas or even your car. Costs and transit times can vary greatly depending on the scale of your move and type of shipping service you choose, so it’s important to make yourself aware of the different options available. Container shipping is arguably the most affordable international removals method. Although it can be an exceptionally slow voyage – you could be waiting for up to two months for your belongings to arrive with you in the USA – you will make significant savings when you opt for sea freight over air freight. Most international removals companies will deliver your possessions straight to your door, though it is important to be aware that some may require you to arrange transportation to and from ports yourself. Air freight is a much faster method of shipping, though as it is typically priced by weight and volume, it is arguably the more costly option of the two. Again, most international removals companies will offer a fully door to door delivery service, whereas some may require you to arrange the transportation of your items to and from the airports yourself. 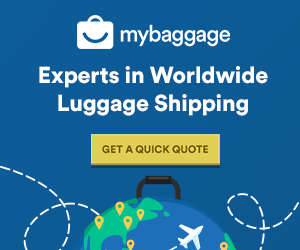 My Baggage offers an efficient and affordable shipping service to all addresses in New York and to over 200 countries worldwide, across over 1,000 routes. With stress-free door to door shipping, full online tracking and dedicated, unrivalled customer support available. My Baggage offers a brand new approach to moving your personal belongings overseas. With our convenient and low-cost door to door shipping services, My Baggage can offer a more feasible method of shipping your belongings to your new home in New York City. Our convenient door to door collection and delivery service ensures that your relocation process is as smooth as possible. My Baggage collects all of your belongings straight from your doorstep and delivers them straight to your new address in New York City. My Baggage isn’t just affordable – our convenient service offers fantastic value for money. We offer a huge 30kg/66lb weight allowance per item for as little as £98 per item to New York City. As well, you also have the option to send as many items as you like with us. Shipping all of your worldly belongings to New York city with My Baggage couldn’t be easier. Our online booking system is available 24/7 and can be completed within minutes. Simply start by obtaining a quote straight from our homepage. Once you’ve booked, we’ll send you some shipping labels to print and attach to your items. After that, you can simply sit back and relax as we take care of everything else for you. It really is that easy!